Recent discoveries by a team of specialists and students at Huqoq in Israel’s Galilee, led by University of North Carolina at Chapel Hill professor Jodi Magness, shed new light on the life and culture of a medieval Jewish village. 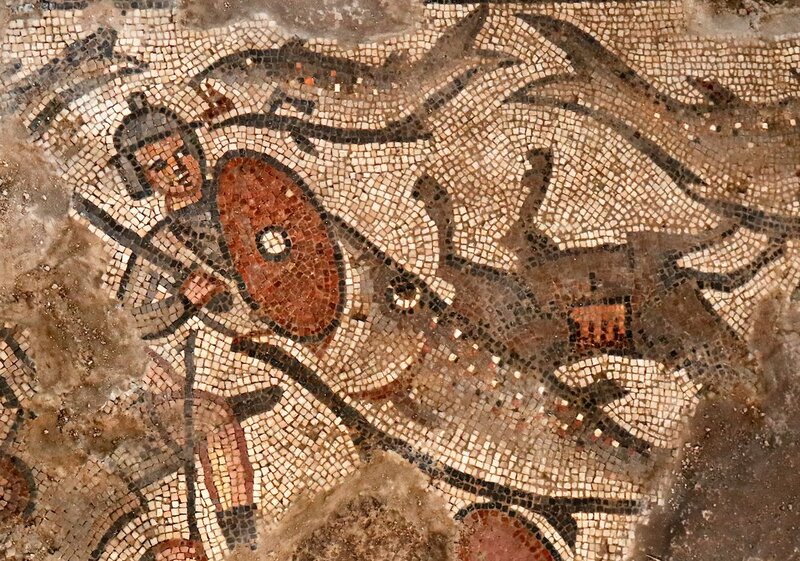 Fish swallowing Pharoah’s soldier in the Parting of the Red Sea. Credit: Jim Haberman via UNC-Chapel Hill.